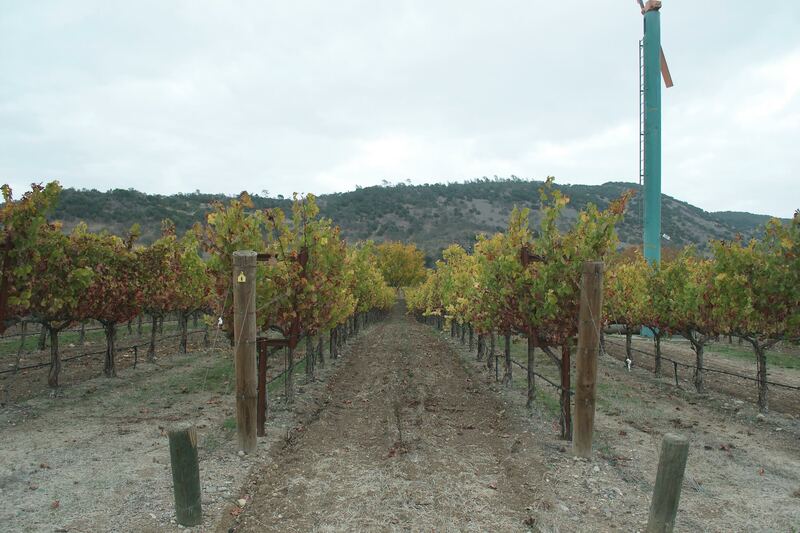 We fervently believe the old maxim that “wine is made in the vineyard,” and consider ourselves farmers first. We carefully tailor organic viticultural practices to each vineyard — this is how we harvest healthy and fully ripe fruit with balanced levels of alcohol and acidity. We do our best to protect and enhance the natural environment in the process. The Red Hen Merlot Vineyard sits along Dry Creek at the base of Mt. Veeder in the Oak Knoll district. It is a warm site with very light and thin alluvial soils, composed of a foot of silty loam above 10-20 feet of pure cobble. The rock content of the soil leads to unusually small and concentrated berries (and low fruit yields). In the 1950’s through the 1970’s this block produced the top fruit for The Christian Brothers Winery, when it was still run by the monastic order. It was forgotten about as a top quality site until we rediscovered it in 2003. Transitional Organic. 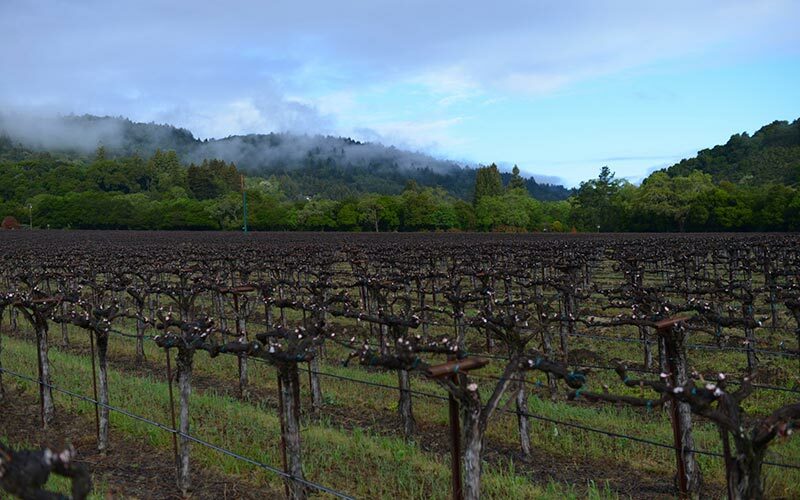 The Bengier vineyard is in the cool and foggy southern part of the Napa Valley in the mouth of Dry Creek canyon, right next to the creek. The rocky fluvial soil and cool air drainage of the canyon work perfectly with the Ribolla gialla variety. In 2001, George Vare was given a few sticks of the budwood from Josko Gravner and grafted it into his vineyard. Steve started overseeing the vineyard in 2002, helping to further propagate the vines, and falling in love with the variety in the process. Gary and Cynthia Bengier purchased the the vineyard in 2014 from Elsa Vare after George passed away and were excited to continue the tradition. Transitional Organic. The Linda Vista Vineyard is just across the creek behind our house. 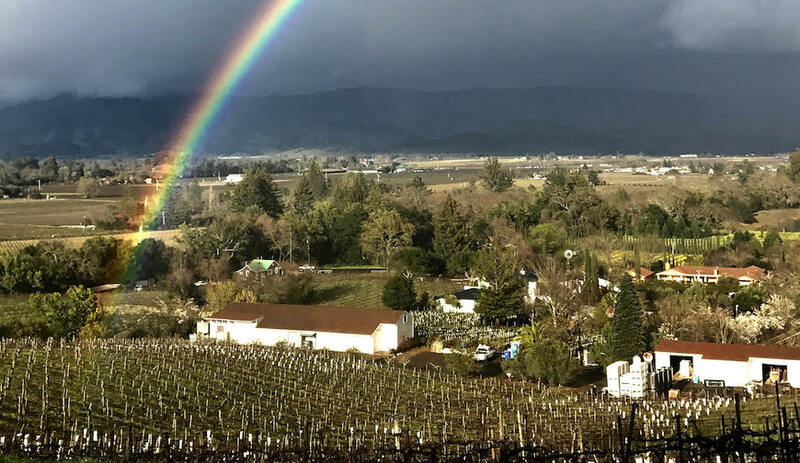 The West Oak Knoll area where we live is one of the classic Chardonnay spots in Napa—Chardonnay from just behind us won the famous Paris tasting in 1976. The cool winds off the San Pablo Bay bring acidity and freshness, while the Napa sun gives flesh and ripeness. 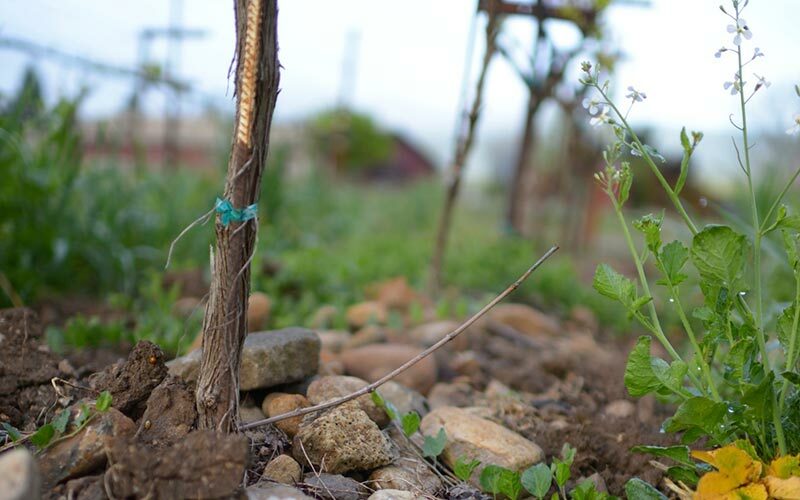 The 25-year old vines were originally planted by Beringer, and we’re proud to take our turn caring for them as the vineyard develops maturity. Certified Organic. The Michael Mara Vineyard is west of the town of Sonoma, at the base of the Sonoma Mountain range. Our partners in the vineyard are Richard and Susan Idell, who also produce delicious wine under their own Idell Family Vineyards label (www.idellfamilyvineyards.com). The soil is the result of a cataclysmic landslide that cascaded rocks and volcanic soil down onto the valley below. The Michael Mara Vineyard is situated on a unique lobe of rocks and red soil, creating wine with the freshness of the marine air, but lots of structure from the rocky soil, and a finish that tastes of that unmistakable rock dust. Transitional Organic. At our home in the West Oak Knoll area of Napa we indulge our fascination with different grape varieties by growing Refosco, Cabernet Franc, Ribolla gialla, Merlot, Tocai friulano, Petit verdot, and Schioppettino. The soil is alluvium from the nearby Dry Creek. With fruit trees at the ends of the rows and flowering bushes throughout for “good bug” habitat, the vines are serenaded throughout the season by kids, coyotes, owls, bees, and the occasional roar of one of our old tractors. Certified Organic. The Dead Fred Cabernet sauvignon vineyard is situated atop a knoll of volcanic ash and rock in Napa’s Coombsville neighborhood. 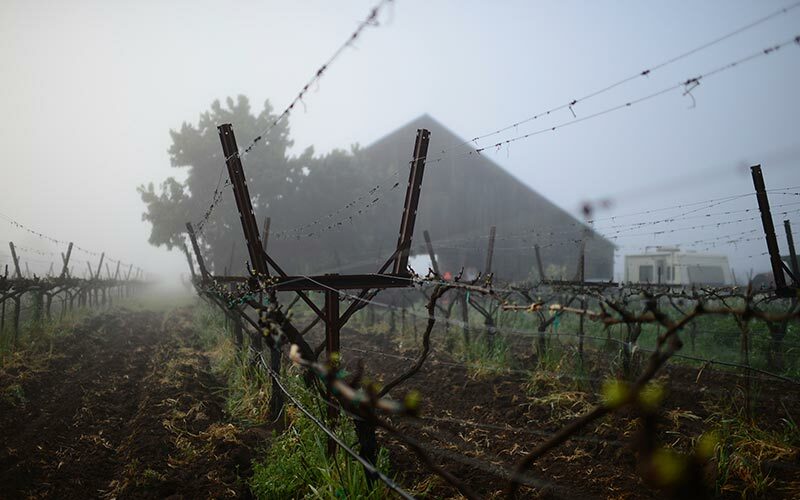 The harshness of this hot and dry site is tempered by the foggy mornings—the vines get a much-needed morning reprieve from the cool San Francisco Bay before the bright sun pops through and the daily struggle for water begins. The soil leads to structured wines with black fruit and minerals, but with a core of freshness from the cool mornings. Certified Organic. Our Sauvignon blanc and Semillon come from Ryans Vineyard, which sits on a streak of alluvial gravel in the center of the valley floor, south part of Napa. It is right in the path of the daily wind current that pulls up through the valley from the San Francisco Bay towards Calistoga. 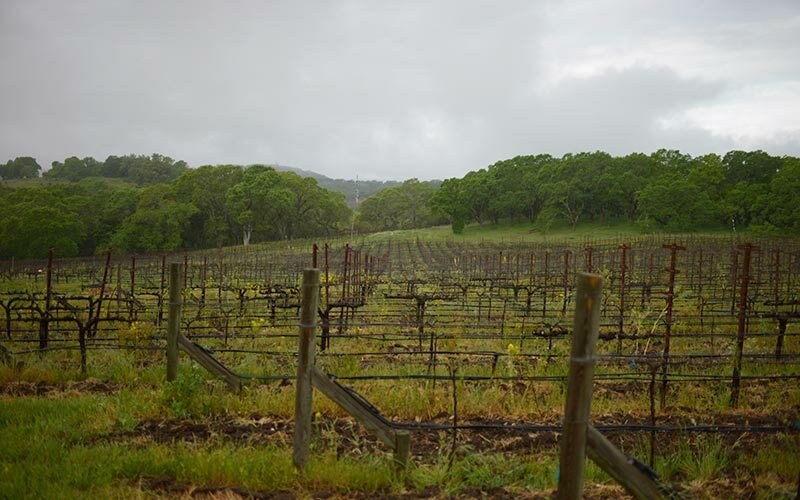 Native grasses are planted under the vines to compete for moisture and nutrients and encourage the roots to forage down deep in the gravelly soil. Steve has overseen the farming of this vineyard for the Verhey family since 2002. Situated on a hillside above Napa’s Dry Creek Road, the beautiful Harms Vineyard radiates wholesomeness and good vibes. Organically farmed for 25 years, and biodynamic for 20 years, the healthy soils and wise older vines produce deep and complex wines. We leased the vineyard in 2016, promising the owners that we could continue their careful and mindful organic farming tradition. Certified Organic. 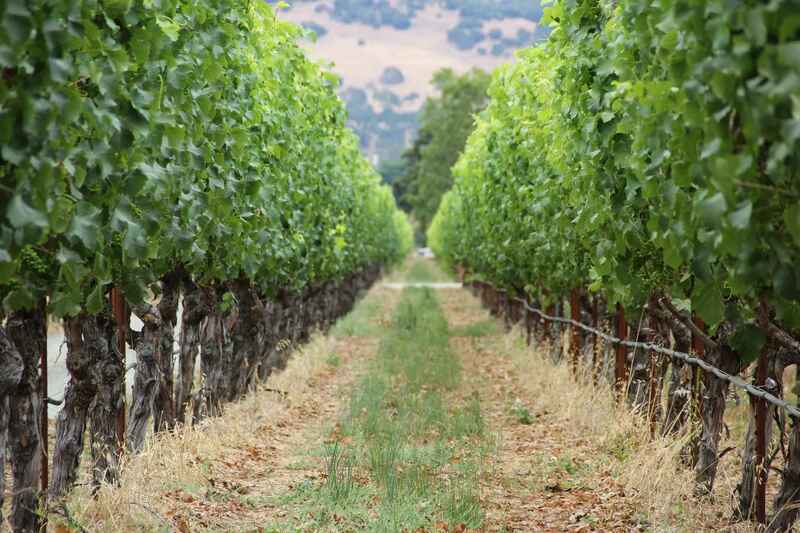 In the heart of Rutherford, the York vineyard sits on gravelly benchland between the Napa River and the Silverado Trail. 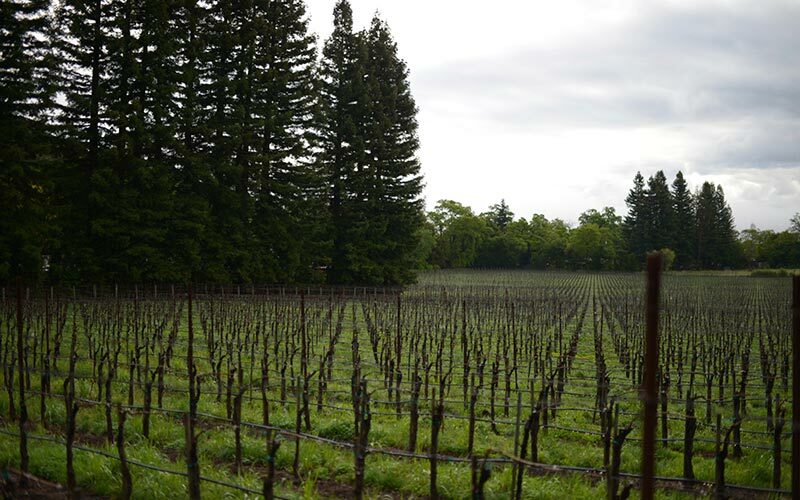 Rutherford is the historical center of Napa Valley Cabernet, and the York Vineyard is a classic Rutherford site. 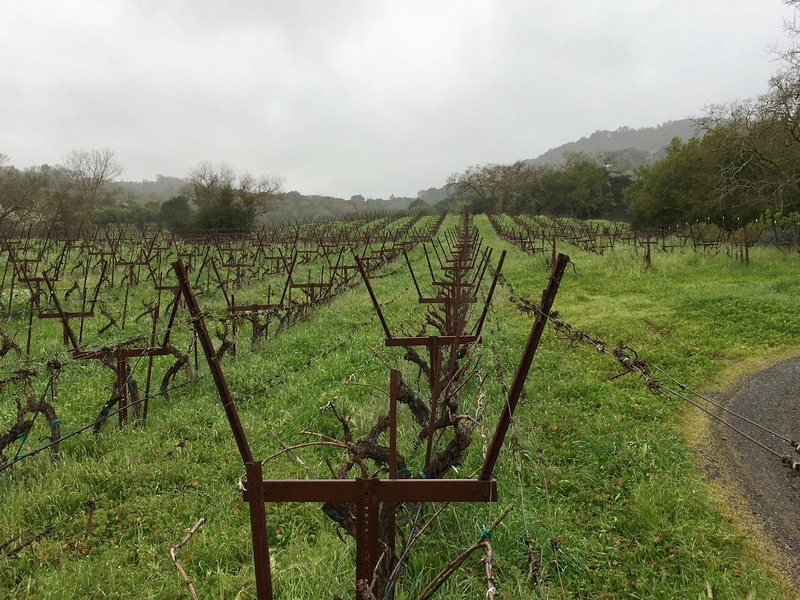 Warm days, cool nights, and soil influences from the meandering Napa River and nearby Pritchard Hill alluvium. Certified Organic. Nestled at the base of Mt. Veeder, overlooking the Oak Knoll District of Napa Valley, the Phoenix Vineyard was an unexpected bonus that came with our winery. The old vines are a loving and funky assemblage of different selections of Cabernet Sauvignon, Cabernet Franc, and Merlot, all mixed up. We added to the diversity by filling in with many more vines of different historical selections. 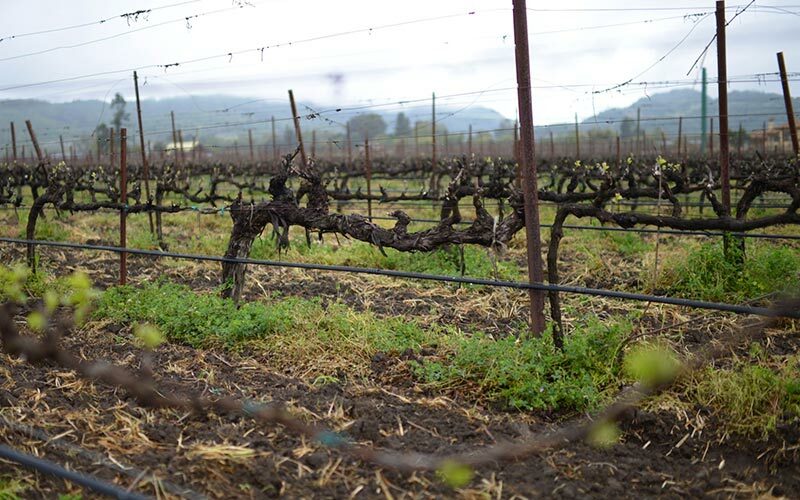 The ancient shale soil is unusual for Napa, only found in our Southwest corner of the valley, and makes finely structured wines with spicy red fruits and beautiful bright acidity.